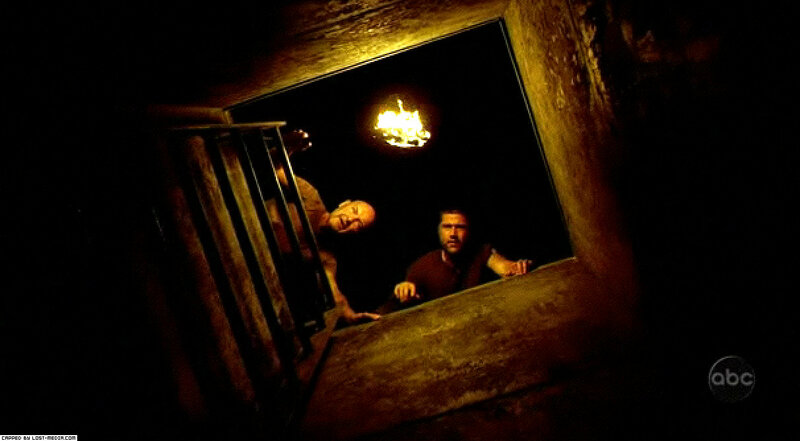 Season one of LOST came to an end with “Exodus, Part 2”, a wonderful conclusion to a season of mystery and suspense. Exodus Part 2 only laid groundwork for even more surprises in season two. From the moment Arzt blew himself up during his lecture on the safe way to handle dynamite to the tortured screams of Michael as the Others took Walt away on their boat as the raft burned, “Exodus, Part 2” delivered drama and great character moments throughout. When Leslie Arzt blew himself up with that dynamite, it was one of the funniest moments in the show. Clearly, it was not as funny for Jack, Kate, Hurley and Locke since they saw one of the survivors blow up right in front of them. However, the irony of the fact that Arzt only came along to help them safely carry the dynamite and he wound up exploding is tremendous. Also, Hurley’s line to Jack, “You’ve got some Arzt on you”- GOLD! Rousseau was busy as she not only led the group to the Black Rock, but also got back to the other survivors in time to kidnap poor little Aaron right from the arms of his mother. Turnip Head finally gets his name from Claire, though there is no indication of where the name came from. Rousseau wanted to trade Aaron for Alex, but when the Others did not show, she sadly gave the baby back to Charlie. I found Charlie’s angry rant toward Rousseau to be unnecessary and cruel. Rousseau has been alone a long time with the memories of her own stolen child. Charlie did not show any empathy on the moment, which might foreshadow how much of a jerk Charlie is going to be in season 2. We got our first look at the Island’s monster, as the Black Smoke was shown going through the jungle. Kate and Jack saw it at first, and they had a hard time believing what they saw. Then, the Black Smoke grabbed Locke by the ankle and tried to pull him down into a hole. Jack and Kate prevented that from happening despite Locke’s claim to let hm go. Kate had used one of the dynamite sticks to make the Black Smoke let Locke go. One would wonder how effective the dynamite would be on the Black Smoke. The raft has immediate troubles when they hit a log and the rudder breaks off. Fortunately, Sawyer is able to jump into the water and catch up to it before it sank and Michael and Jin could get a rope to it. Yet, that would be a minor problem when compared to the arrival of the Others. 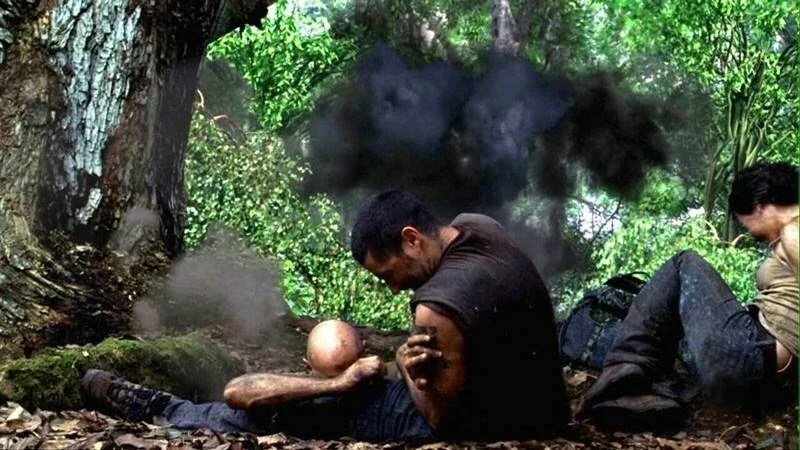 Michael finds a blip on Sayid’s radar, but he is anxious about using their one flare. As the blip was leaving, Michael is finally convinced into using the flare, which brings them back to the raft. The boat’s captain played it up as if he did not know anything about these four and let them get their hopes up. Then, he said, “Only the thing is, we’re gonna have to take the boy.” After grabbing Walt, the Others torched the raft, shot Sawyer, and left Michael in the water yelling “Walt” which would become an iconic moment of the series.